Minigame is exactly that - a Super Mario Bros minigame. You have one screen, one life, infinite time, fireballs (that shoot diagonally upwards), and an invincible Lakitu. Genius. 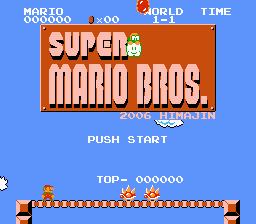 There were two released versions - minigame and minigame_c. 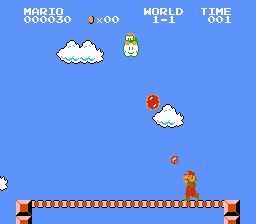 minigame_c restricts Mario's jump power and prevents the Spinies from falling off the edge of the platform, making for a harder game.